This is the best place in town to go when you need help with something. The manager is very helpful and is willing to take the time to help you figure out what it is that you need. Being a woman its hard for us to find someone that wont talk to you like you are a stupid girl. He helps you out and doesnt make you feel stupid while doing it or try to make an extra dollar off of you because you dont know what it is that you exactly need. Definitely the best car parts place in town!!! Need Tires in Merrill Wi......You've come to the right place, At Central Wisconsin Wholesale Auto Parts, (CWWAP.NET), we’ve got you covered. In fact, we service auto repair shops and individuals within an approximate 65-mile radius of Merrill, Wisconsin. Need a set of Michelins in Medford? A Walker exhaust in Weston? Want a Magnaflow in Merrill or an ATP manifold in Antigo? 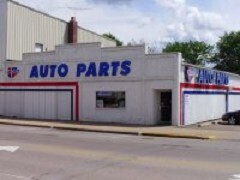 CWWAP is connected to the Carquest Auto Parts building at 1209 E. Main Street in Merrill WI. If you don’t have time (or patience) to wait for an inexperienced parts person to check a manual on the difference between glasspacks and a manifold, Central Wisconsin Wholesale Auto Parts not only has the parts you need, but it’s backed by more than 13 years of auto part experience. Don’t believe it? Put our parts guy to the test. To see our Huge Selction of Tire Click Here, and begin your tire selection process.